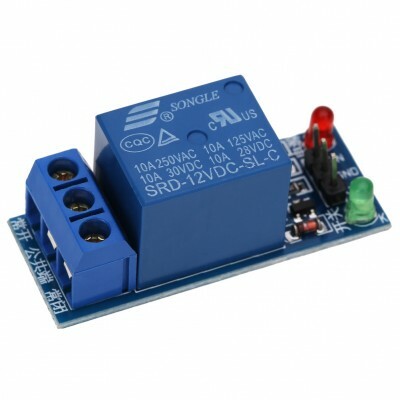 1 channel relay module with 12V coil relay. Low level signal triggers the relay. 3 pin terminal connector on switching sode for easy to conenct wires. On the input end there is a 3 pin male header with standard 0.1" pitch. 2 onboard LEDs indicating power status and relay status. Application - Suitable for all kind of AC/ DC appliances switching applications.